Success in a team game lies in the perfect sync between teammates. However, it is always individuals, who standout to make the team win against the tough opponents. These individual talents are the main reasons to take their team towards glorious triumphs. It has always been seen in team games, one individual become conspicuous with his / her super talent to steal the limelight from other teammates. The team revolves around this particular individual’s amazing display of talent. This individual stands tall selflessly for the sake of the team. Simultaneously, the team stands united behind this particular individual for the sake of team’s success. One without the other becomes incomplete in a team. United Kingdom’s professional footballer Fran Kirby has shown immense talent during the 2017-18 Season. Scoring 22 goals in various competitions, Kirby was voted ‘Professional Footballers' Association Women's Players' Player of the Year’ for the year 2017-18. She was honoured on the 22nd of April 2018 with the trophy at the Sunday night's ceremony, at the Grosvenor House in Central London. The ‘Professional Footballers' Association Women's Players' Player of the Year’ has been awarded since the 2012-13 Season. It is an annual award. The player is voted for being the best throughout the year in English Women’s Football. The members of the players’ trade union PFA – Professional Footballers’ Association vote to pick the winner. An elated Kirby expressed, “It is pretty special for me! It is very humbling, because it is voted for, by the people I play against week in and week out. So, I am absolutely delighted to win! A massive thank you to everyone, who has voted for me and to my teammates, who helped me get here. In every game that I play in, I try to do something that I will remember, after the game. 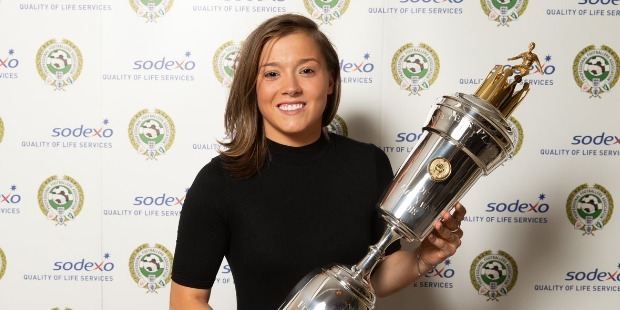 Fran Kirby was also honoured with the inaugural ‘Football Writers’ Women’s Footballer of the Year’ for the 2017-2018 Season. FWA Footballer of the Year is awarded to the player, who excels to be the best throughout the season in English football. The members of the FWA – Football Writers’ Association comprises of 400 England-based football journalists. They vote to select the ultimate ‘Player of the Year’. 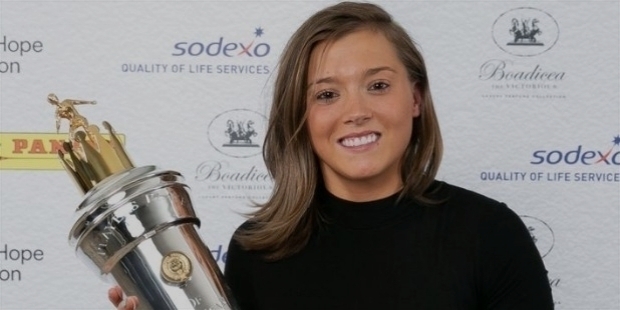 Fran Kirby has etched her name in the history books as the ‘First Female’ player to win the inaugural ‘Football Writers’ Women’s Footballer of the Year’ award for 2017-18 Season. Kirby has shown excellent skills with her superb form for England and Chelsea Ladies throughout the season. With 22 goals to her credit, she was instrumental to take Chelsea Ladies to the semifinals of the Champions League. Francesca Kirby was born on the 29th of June 1993 in Reading, England. Father Steve Kirby used to be Sunderland Academy striker. He works for First Great Western as a train driver. Mother Denise was a psychiatric nurse. Right from her early childhood, Little Francesca was a bundle of talent. She was a natural. Little Francesca joined Club ‘Reading’ at a tender age of 7. Coaches at ‘Reading’ had predicted, Francesca Kirby had the talent to be England’s star footballer in near future. Her mother was the inspiration for Francesca’s love for football. Her talent saw her graduating to the Youth team. While she was excelling on the grounds, her mother Denise’s health condition was deteriorating. At the age of 14, Francesca lost her mother to brain hemorrhage suddenly. It was the most trying times for the teenager. The tragic loss left a void in her life. Mother and daughter had a very special bonding. Denise was always there watching her lovely daughter playing and winning matches. Francesca lost her mother in front of her and was clueless about her death. The tragedy struck deep impact in her life, when her father disclosed the news. For the 14-year-young Francesca, life suddenly became stand still! The depression took a toll on her life. Francesca had to struggle for years to come to terms of her mother’s loss. She walked out of England Under-19s Camp. She even gave up a football scholarship to America. In one of the interviews, Francesca had revealed, “For the first two or three years, I did not really show any emotion. I tried to blank it out. I am very secretive about my feelings, very shy, especially, in front of my dad. I do not like being weak. I do not like crying in front of my dad, because I do not want to make him cry.” She tried to put a brave face for her father’s sake. To overcome her sorrows and depression, after three long years, Francesca became a gym addict. With no pressure to pursue her career as a footballer, she started playing for a Sunday team. She was attending Sixth form College and began enjoying the game. The games unfolded Francesca’s depressive state of mind to make her love the game once again. She joined ‘Reading’ once again after a year. In her first season, Francesca scored 33 goals. The talent was back in action. Her father made it a point to be by her side, when she is playing. Steve worked night shifts, so he could be with Francesca during day time. The huge loss of Francesca’s life became the biggest strength in her career. She was stronger than her earlier days. Determined, she was scoring at will and winning matches. Francesca Kirby was on the right path, when the England call-up confirmed her to make her debut as a senior footballer. It was a dream come true for Francesca, because she was now sharing the dressing room with Jill Scott, Fara Williams and others. The mutual respect and admiration among players were evident. In 2012, Kirby was back in her club Reading. In 21 appearances, she scored 32 goals to become the FA Women's Premier League Southern Division's top scorer for the 2012–13 Season. In 2014, Kirby scored 24 goals to take her club ‘Reading’ to 3rd place in Women’s Super League 2. Once again, she was the top scorer for the Season. Club Reading rewarded Francesca Kirby with a professional contract. She was the first female player to receive professional contract from the club. Kirby was flying high towards bigger goals and achievements in life. 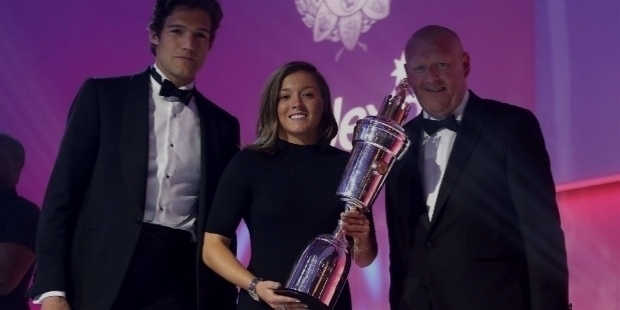 She was name the ‘Inaugural WSL2 Players’ Player of the Year’ at the 2014 FA Women’s Awards. In 2015 WSL2 Season, Kirby scored 11 goals in five league appearances. With her fame spreading in the football circuit, she moved to Chelsea following the 2015 FIFA Women’s World Cup. The undisclosed transfer fee became the talk of the football circuit. Chelsea won the 2015 FA Women’s Cup Final defeating Notts County 1-0 at Wembley Stadium. It was first major trophy for Chelsea’s Women’s team. Kirby scored twice for Chelsea’s 4-0 win over Sunderland in October 2015. Chelsea won the first FW WSL title, a league and Cup double. Kirby was becoming regular at scoring goals in matched. 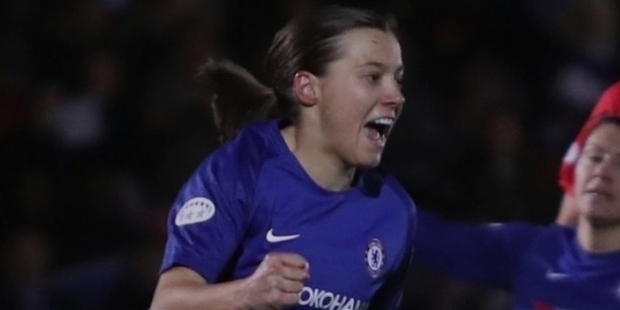 At the UEFA Women’s Champions League, Kirby’s goal won Chelsea over Glasgow City. Chelsea returned to Wembley Stadium, courtesy Kirby’s superb form. Chelsea defeated Manchester City in the FA Women’s Cup semifinal. 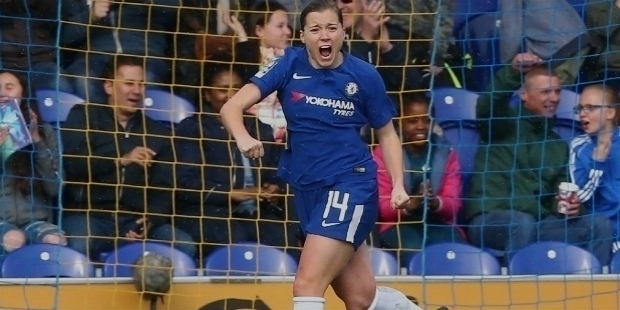 Two days later, Kirby struck twice in Chelsea's 2–0 WSL win at Arsenal. In June 2014, Francesca Kirby was the first WSL2 footballer to be called up for England Senior squad for the World Cup qualifiers, against Belarus and Ukraine. She watched the match against Belarus, sitting on the substitutes’ bench. In August 2014, Francesca Kirby made her senior international debut against Sweden. She scored the second goal in 4-0 win at Victoria Park, Hartlepool. England Manager Mark Sampson named Francesca Kirby in his final squad for the 2015 FIFA Women’s World Cup, hosted in Canada. Sampson hailed Kirby’s heroic goal scoring skill as ‘Mini Messi’, when England won 2-1 against Mexico. England eventually finished third. Kirby was ruled out after an injury from quarter-finals onwards. In September 2015, Kirby struck twice in England’s 8-0 win in Estonia. Sampson had high hopes from her, so he retained Kirby in the National team for the UEFA Women’s Euro 2017 qualifying campaign.